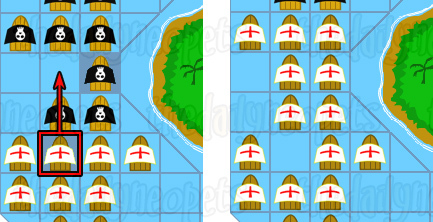 Armada is one of Neopia's two fully multiplayer games. It is a game of strategy; planning your moves in advance and taking your opponent's moves into consideration are extremely important. 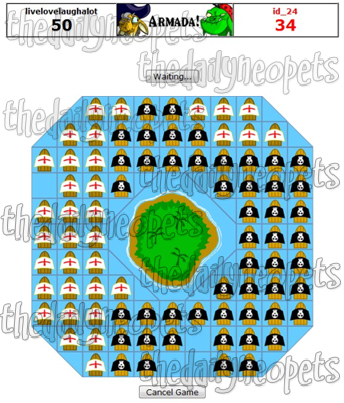 Your goal is to take over all of your opponent's ships so you can dominate the high seas! 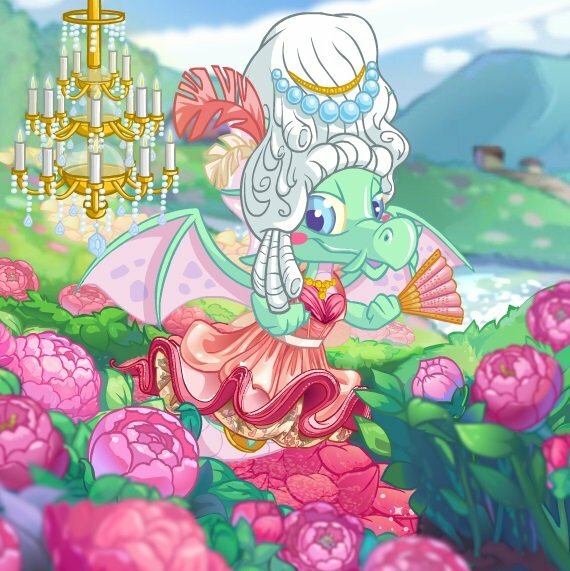 (Or at the very least, the game board.) For more information on getting started, joining the monthly competition, and general multiplayer game information, see the Multiplayer Game Lobby guide . 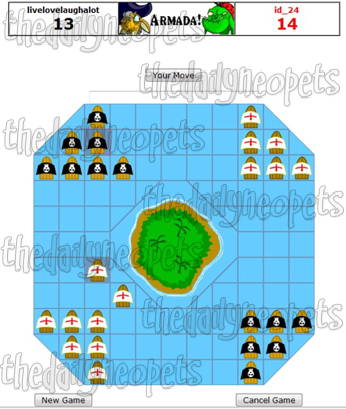 Both players start with 12 ships, six in one corner and six in the corner directly opposite, as shown below. If you initiate the game, your ships will be white. If your opponent started the game, your ships will be black. You will use your mouse to make your moves. 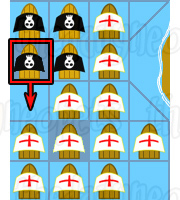 When it is your turn to play you will need to click an empty space near your ships. If you click a space next to your ship you will have more ships added to your total and that ship will stay in place. If you jump over a ship to a space then your ship will move and you will not have more ships added to your total. Your active ship, or the ship you will be moving or duplicating will have a purple background, rather than the blue. The newest ship your opponent has made will also appear with a purple background. The object of the game is to have more ships than your opponent. The game either ends when one of you cannot make anymore moves, or the board is full. Always think ahead and pay attention to the moves your opponent makes. If you move a ship next to your opponents ship, any ships of theirs turn into yours. This can be very helpful with increasing your ship total. 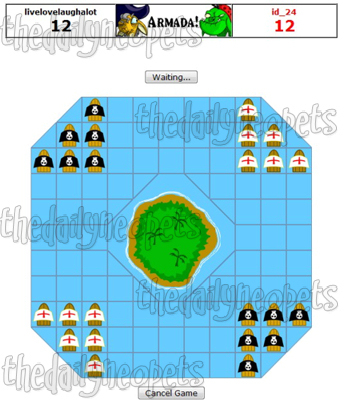 Strategies in Armada vary greatly, depending on what your oppenent plays. Generally speaking, it is always better to move just one space away - that way you get an extra ship plus whatever ones of your opponent's you manage to change into your own. Plus, you don't open any squares up for your opponent to take advantage of. 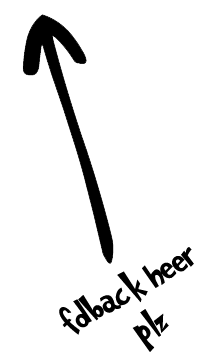 ... like in this example. :) Here, we're converting six black ships while at the same time the only square that we're opening up is too far away from any blacks to be any trouble yet. This type of move is excellent, since you'd have to make a pretty big mistake for your opponent to catch you up after you've gained that much of an advantage. Problem is, to have the opportunity to make a move like this is rare - and usually only happens when your opponent isn't paying quite enough attention to the game. Try to think ahead before you make each move; which of your pieces does this open up, which of your opponent's does this put you in reach of? The further ahead that you can think, the better you'll get at seeing the opportunities as they come along - and at avoiding making new ones for your opponent!